Do you need a display solution that is suitable for indoors, outdoors and in a professional environment? Then the Franken range has everything to offer you, our range of snap frames and display cases allow you to communicate and present in a professional, modern and attractive way. The Franken display cases come in various colours, sizes and all with locks. Our outside display cases and waterproof, lockable and pinnable. Partition Walls with the option of castors for mobility, A boards for posters, or blackboards for advertising your menu for the day, our Franken range has everything to fit your business. 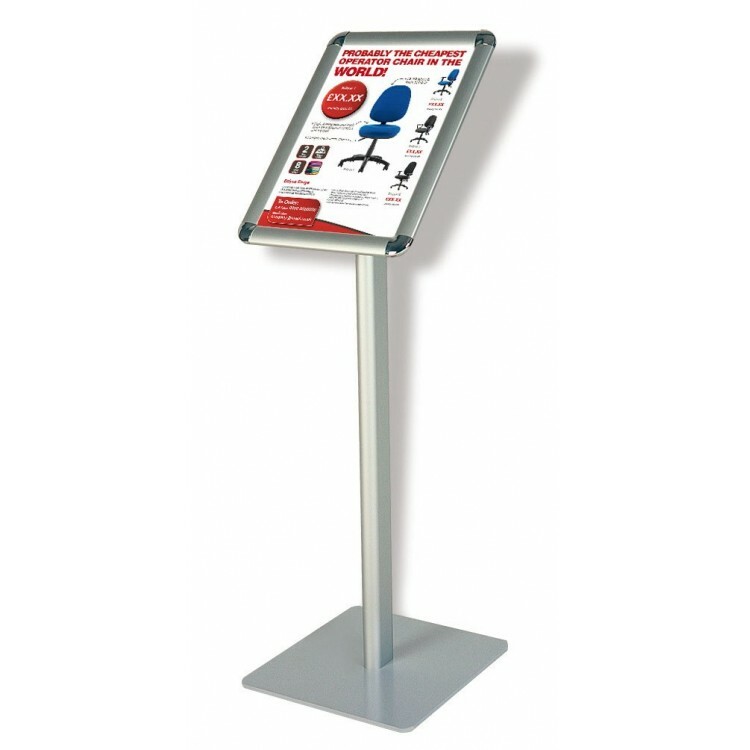 The Franken Standard Information Display features a silver anodised aluminium frame, a clamping syst.. The Franken Universal Information Display features a silver anodised aluminium frame, a clamping sys..